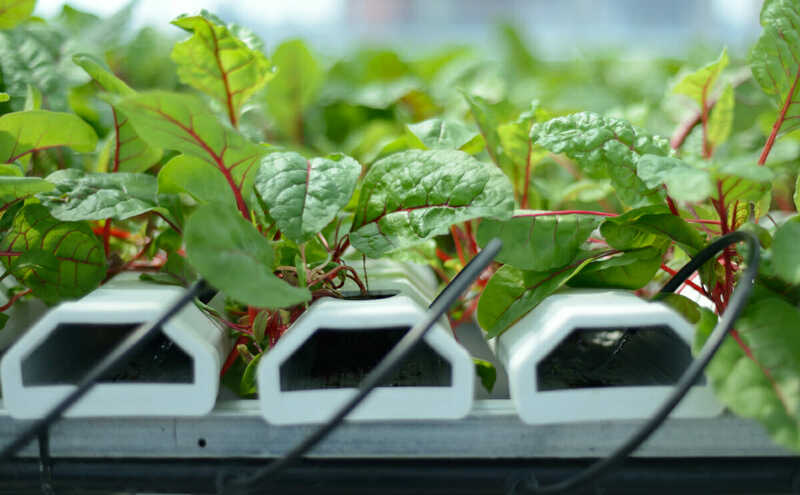 This hydroponic farm represents both a modern way to bring farming into urban areas and the first realization of a rooftop farm company's grand intentions. The 8,000 square foot greenhouse was constructed and managed by Sky Vegetables, a Massachusetts-based company. The company has operated a research and training farm in Amherst, but this farm is the first of what they hope are many urban rooftop farms. The affordable housing complex where the farm is located is a Leadership in Energy and Environmental Design (LEED)-certified building. A hydroponic farm makes a lot of sense for a rooftop, said Joe Swartz, the director of farming for Sky Vegetables. While a soil-based system can weigh up to 40 pounds per square foot — too heavy for many roofs — a hydroponic system weighs approximately 8 pounds per square foot. Many existing roofs are structured for this kind of load. 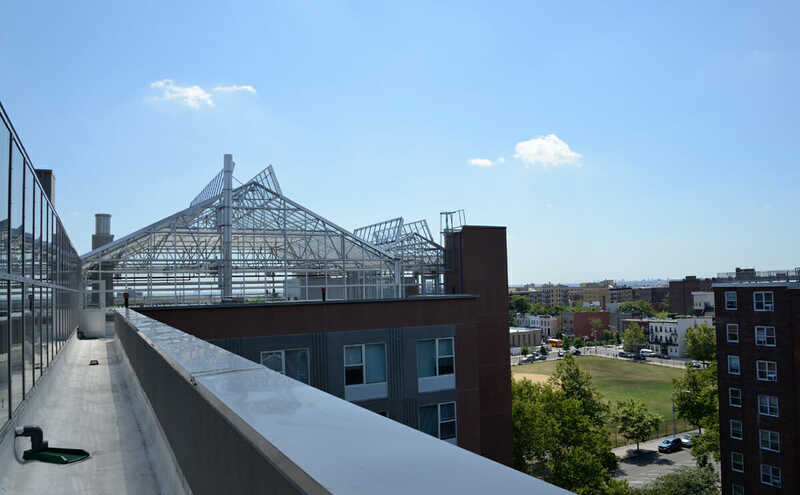 “It allows us to produce virtually on any rooftop,” Swartz said. Sky Vegetable farms run on the Nutrient Film Technique (NFT), wherein all nutrients are fed into a shallow stream of water. It’s a closed-loop system. The plants absorb what they need of the nutrients and the remainder is caught in the tank and used again. “So it’s basically a zero-waste system,” said Swartz. 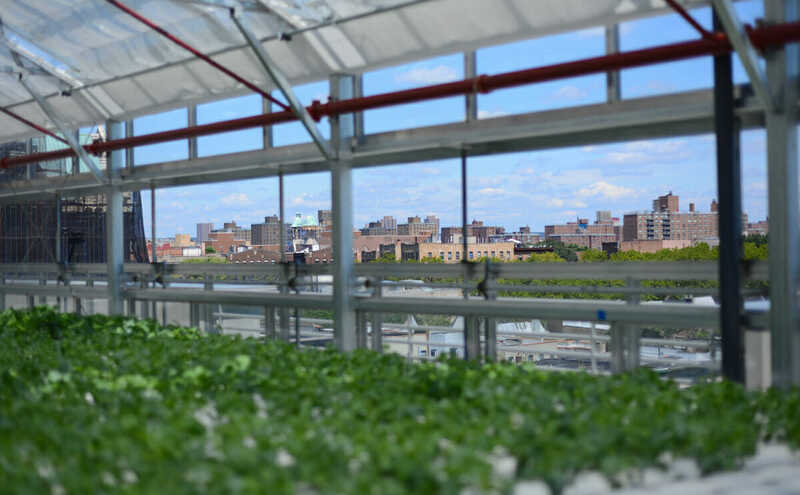 Sky Vegetables harvests about 2,500 pounds of herbs, lettuce, kale and other green leafy produce each week from their Bronx farm. They package and sell much of it for a local community supported agriculture (CSA) share and for Fresh Direct, a grocery delivery company. They also donate a percentage of their harvest to a local food bank. Kate Ahearn, the farm manager and lead grower at the farm, does much of the harvesting. She was attracted to working here because “it’s the best of both worlds,” she said. She gets the city and farm, all in one view. The produce appeals to grocery stores because it’s local, can be grown year-round, and uses no pesticides. Building a rooftop farm is an attractive idea for property owners for altruistic reasons — and for the tax credits that come with it. Sky Vegetables’ plan is to leverage these incentives to help build more urban rooftop farms, and their plan seems to be working. 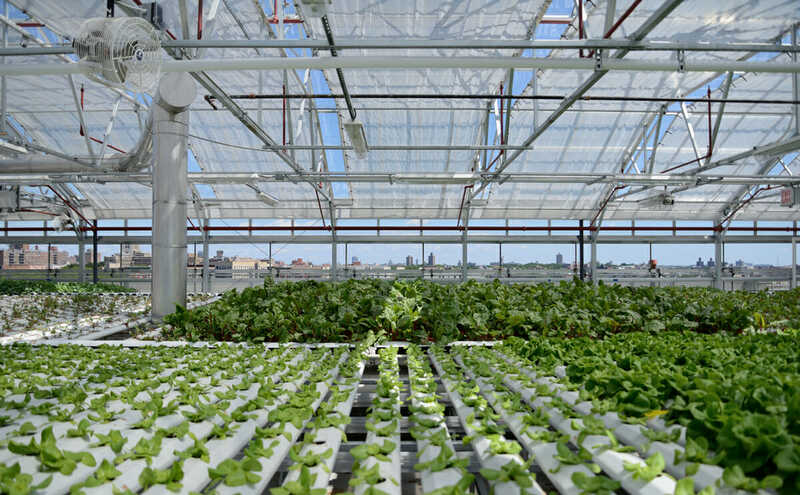 Their next venture will be a hydroponic farm on a Boston warehouse, which, at 63,000 square feet, will dwarf this Bronx operation.